(Irish) Potato Soup in a Crockpot? Of course, it’s no trouble to cook up some potato soup on the stove in a jiffy, but if you’re stuck working overtime, or out in the cold, wild, blue, yonder, for whatever reason, it’s far better an experience to come home to warm, delicious dinner already made, not to mention a house (or apartment, or wherever) that smells so good, than it is to arrive in a chilly, dark, house (you turn off your lights and heater before leaving to save on power), hang up your coat, and have to spend your last ounce of energy microwaving some form of canned sustenance or TV dinner that will inevitably stay frozen in the center and become scalding everywhere else. Let’s get away from that bleak prospect, and into one way you can make your future evenings a whole lot better! Knives to go with your cutting board, presumably. Or, spoons, if that’s what you’ve got. I’m not here to judge. A Crock-Pot or some other form of slow cooker (duh). A large spoon to stir your soon-to-be soup. Oh, and a few ingredients too. We might just need a few of those, now that you mention it. I’ll keep it simple. 1/2 cup cream, OR 1/2 cup half-and-half, OR 1/2 package cream cheese, OR 1/2 cup plain greek yogurt… Really, the possibilities go on and on here. You could use milk for a thinner soup. 2 tbsp chopped chives (optional) You could substitute chopped green onions if you wanted to do so. Extra cheese, for sprinkling on top!! Now, the following are what make it taste home-cooked to me personally, but these are completely optional! Pepper! More pepper! Pepper for everybody! Okay, now that you have everything out, and your kitchen is probably a mess, it’s time to throw everything in the crock-pot then leave! Well, more or less, anyway. Combine the potatoes, onion, celery, chicken broth, garlic powder, butter or coconut oil, black pepper, and , in a large crock pot. Cover, and cook on high for 4 hours, or low for 8 hours (potatoes should be tender). This is the part where you can leave the house. When you come back home and/or the timer you set beeps, add your spices, and mash everything together until the potatoes are coarsely chopped and the soup is slightly thickened. You’re almost done! Stir in a little cream, cheese and chives! Top with sour cream, and sprinkle with bacon and more cheese. Some people also like to add yellow mustard, or hot sauce. That’s not really my thing, but if you like it, go for it. pour in bowls, add sour cream and bacon bits, and garnish! This entry was posted in dinner and tagged family recipe, irish, potato, potatoes, soup. 1. Pour the Malt O Meal into the bowl, then cover with water. More water makes thinner, more soup-like, PB&J soup. 2. Microwave the Malt O Meal and water for about one minute on high. Times will vary between microwaves. 3. When the microwave is done, take out the cooked Malt O Meal. 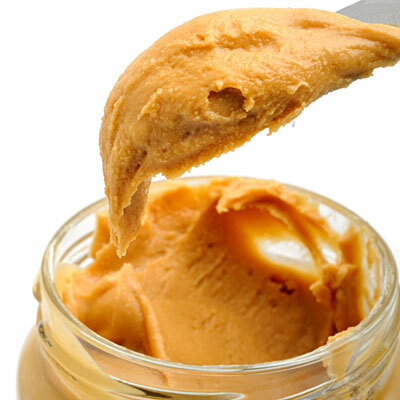 While it’s still hot, put in the peanut butter. Stir. Add the jelly, and stir again, until everything is mixed thoroughly. 4. Put away ingredients, let cool slightly, and serve!